Your Next Sales Kickoff: Stop the Insanity! We work with sales organizations every day, and when it comes to SKOs, we’ve seen it all — the good, the bad and the ugly. If the SKO is on your team’s radar right now, it's a great read. Fill out the form to download a PDF version of the eBook. We work with sales organizations every day, and when it comes to sales kickoff events, SKOs for those in the industry, we’ve seen it all — the good, the bad and the ugly. What makes for an inspiring SKO? It starts with a shift in mindset and ends with five critical steps you should take - starting right now. As for constructing an impactful SKO, we thought it would be helpful to share our list of top five SKO mistakes, and, better yet, provide the remedies so you can plan the kind of event that will fire up your sales team and set sellers on a path for sales success in 2019 and beyond. 1. Leaders don’t care soon enough. There are consequences to not thinking and planning ahead. Leaders might have to compromise on quality of the some of the most important things they want to accomplish or instill in their teams. Take program content. It takes careful planning and lead time to create content that aligns with both overall organizational goals and projected outcomes. On a more tactical front, not caring soon enough could look like hosting the SKO in a lackluster venue, settling for B-list speakers or forgoing something cool that would have delivered the wow factor. The Fix: Shift your mindset about the SKO. Another helpful tip: In your mind's eye - spend time standing in the middle of your next SKO and work backward from it. Imagine you are the attendees. What does it feel like? What does the keynote sound like? What do the hands-on activities look like? Are there break-out sessions? Is there some down time for sellers to check in with clients or simply recharge? Ask and answer these questions and then you and your planning team can begin to reverse engineer your kick-a** SKO. Bottom line: Don’t jeopardize your SKO by not caring soon enough. The longer you put off planning and executing, the more likely you will end up hosting the event you were barely able to pull off, instead of the event that will enable sellers to better understand and execute their jobs. 2. Outcomes are not clearly defined. The very first things company leaders must settle on are the event's objectives and desired outcomes. How else would you measure success? Given the time and resources spent planning and executing an SKO, plus all the time sales reps spend attending them, not knowing what you want to get out of it is foolish and expensive. Given the big goals your organization has and the potential to get there, the opportunity cost of a failed SKO is huge as well. Your response should be based on your company’s current growth goals and where it is in its' maturity. This will help you establish and maintain team agreement on the SKO’s purpose, objectives and measurable outcomes. It will also help you define what success looks like for individual sellers, sales teams, sales leadership and the company overall. Not knowing or giving directives on what you’re trying to achieve from the SKO makes it impossible to know or measure success. Having this “what’s urgent right now” discipline and mindset will also safeguard your SKO from being barraged with important, but not urgent, content. Otherwise, you can expect everyone to try to push their nice-to-have but not urgent presentations onto a bursting-at-the-seams event agenda. Finally, give the planning process equal weight to the desired outcomes. Treat the planning and execution of the SKO as a team-wide or even company-wide priority, because it is. The planners within your company are strategic partners who are committed to your sellers’ success. They’re not mere party planners or order takers. 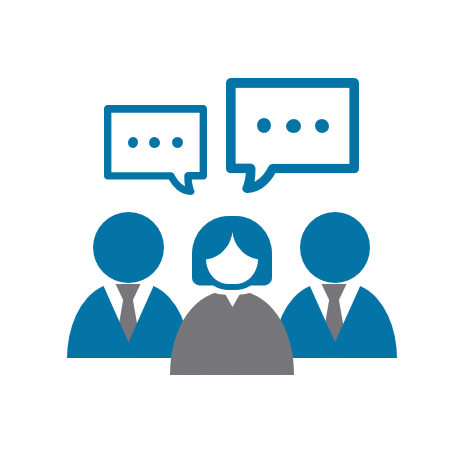 Having collective agreement on your SKO’s objectives and outcomes on the front end will help your team stay in lock-step throughout a successful execution. Bottom line: Know your objectives and have collective agreement from the team on how you’ll get them done. 3. There’s not enough usable content. Just because the days and nights of the SKO are jam-packed with presentations, working lunches, activities and networking over drinks and dinner doesn’t mean it’s a kick-a** SKO. More likely it’s the opposite and your people are frustrated by the lack of usable content. Keep in mind that the content will be quickly forgotten if it isn't consumable, relevant and something reps can immediately use to close more deals and improve their sales numbers. The Fix: It sounds counterintuitive, but less really is more. Be realistic on what you can expect people to absorb, picking two to three key takeaways. Also be realistic about how much programming you can expect sellers to sit through and participate in without their eyes glazing over. Remember, you want them to leave the SKO feeling informed, invigorated and ready to put what they learned into practice. It’s better to go deep on a few things, than barely scratch the surface on a bunch of things. Bottom line: Make every SKO activity meaningful and custom-made for your objectives or don’t do them. You don’t have to fill every minute. Stop the insanity. Down time is a gift. Your sales force will thank you for it. Trust us. 4. The team isn’t aligned around critical roles and responsibilities. It’s important to have defined roles and responsibilities, both individually and as a team. Anyone who’s attended a SKO knows that there’s a certain choreography that happens at the event, and for the choreography to come off smoothly, you need clear roles and responsibilities. When your SKO isn’t choreographed well, everybody knows it and they’re less likely to get anything out of it. The Fix: Understand roles and responsibilities and stay in your own lane — as a sales leader, sales enablement team member or event planner. The sales leader is in charge of strategy, design, big picture. Think of it as your job to create the vision and passion around the “why.” You want to ensure SKO objectives are clearly defined for the entire team and aligned with the overall growth and revenue goals for the company. Set up your sales enablement and event planning teams to plan the perfect SKO, then stay engaged and accessible. Otherwise get out of the way and let them do their jobs. Of course, as road blocks come up, be there to clear them so the team can press on. First steps for the sales enablement team include honing in on the event requirements, securing budget approval and defining success metrics. Think of it as your job to define a blueprint — or critical path — of how you’ll get from conceptual event to flawless SKO in real life. And just as your sales leader did when creating the overall vision for the SKO, stand in the event in your mind’s eye and work back from it. Define early on who has decision rights, meaning who owns a decision but also who needs to be informed and who needs to provide input before decisions are made. Decide who owns certain tasks and make sure they understand their responsibilities and next steps. Ensure SKO activities and the event agenda stay aligned with agreed upon outcomes. In other words, keep on your critical path. Finally, event planners are in charge of execution timeline and what the program looks like in detail. They’re point on mapping out the run of show and knowing how long each component will run, when to hit play on a video, what material to cut if the program runs long, who the back-up speakers are in case of emergency and every other logistical detail that comes with producing a big event. When it comes to these final stages and on-site logistics, sales organizations should consider hiring pros whose sole job is to execute world-class events. With all the planning you’ve already done and all that’s on the line in terms of where your company wants to go, it’s a sound investment. Bottom line: Know your role and execute. Everyone has the responsibility to envision the SKO unfolding and then reverse engineer to make it happen. 5. Leaders don’t understand the proper use of the forum. The biggest bang from your SKO comes from application and interaction for these few precious days when you have your entire sales force together in one place. But what often happens is too much time is wasted making attendees aware of things (boring), rather than giving them time to implement new material and strategies (engaging). Keep in mind that the people at Harvard — along with anyone who has ever sat through college lectures — say that active learning keeps people engaged while passive learning is a snooze fest. The Fix: Think of all of the people invited to this event and ask yourself what they are going to get out of the event. And then fiercely protect the time you have together with your sellers and that individual teams have together, as well. Of course, you want your sellers to learn something new and have time to practice what they’ve learned. Both learning and practicing can happen, but not necessarily at the actual event — or at least not in equal measure. Think of the SKO being about the hands-on, interactive time for sellers to work with what they’re learning. There’s role-playing, small group activities, pitching sessions and more. Think of the weeks leading up to the SKO as the time you make sellers aware of what will be covered onsite. Consider an e-learning curriculum that’s released to sellers a few weeks ahead of the SKO. That way sellers show up ready to put into practice all that they’ve studied up on. We like to think of this approach as layered learning with the layers being awareness, proficiency and mastery. The pre-work leading up to the event is how you make sellers aware of concepts and strategies that they will become proficient in at the SKO. Then they'll and then master out in the field when they are closing deals left and right. One final thing: Recognize that the SKO is also the time when many individual teams are together for one of the few — or only — times of the year. Leave room in the SKO agenda for those individual teams to meet and interact, too. Bottom line: SKOs come around just once a year. Use the forum and the time wisely. At the SKO, let sellers interact and practice, practice, practice. The time and resources that go into a sales kickoff can be well worth it in the long run. Companies that plan and execute kick-a** SKOs tell us they see results in the coming quarters and even years down the line. Their sellers are armed with the tools and inspiration they need to close deals and bring in new business like never before. They know the mission and they embrace it. And it’s all because the purpose of the event and the outcomes it was trying to drive were clearly communicated and integrated throughout the event. The SKO is the shiny event that helps catapult your efforts into long-term success. But it starts with investing the time to plan, identifying one or two overall objectives, tapping the right people inside and outside your organization, being respectful of the event forum and executing flawlessly. See how Actifio aligned the entire company behind creating and capturing value. When you do the SKO right, sellers will have had the opportunity to connect with colleagues and management, hear from inspiring speakers, share fresh ideas, practice selling techniques and celebrate each other. Time well spent on their part. Time and money well invested on your part. You’ll know when you’ve wrapped up a stellar SKO. Your sellers will be raring to go! Your sales’ increases won’t be a momentary blip but a sustained, measurable upward trajectory. And each year presents the chance to do it all again. Are you going to let your company miss the opportunity at SKO glory? No. No, you are not. You now have all the ingredients to make a kick-a** SKO. This tool can help you define where your company is headed. Use the results to help you align your SKO goals with success metrics that move the needle. Define your next steps with our Rapid Sales Assessment.